As part of an old homestead dating back to the early 1900s, this barn, locally known as the Little Buckaroo Barn, is on the National Register of Historic Places. It sits in the Kawuneeche Valley near Grand Lake, beneath the Never Summer Mountain Range, in Rocky Mountain National Park. 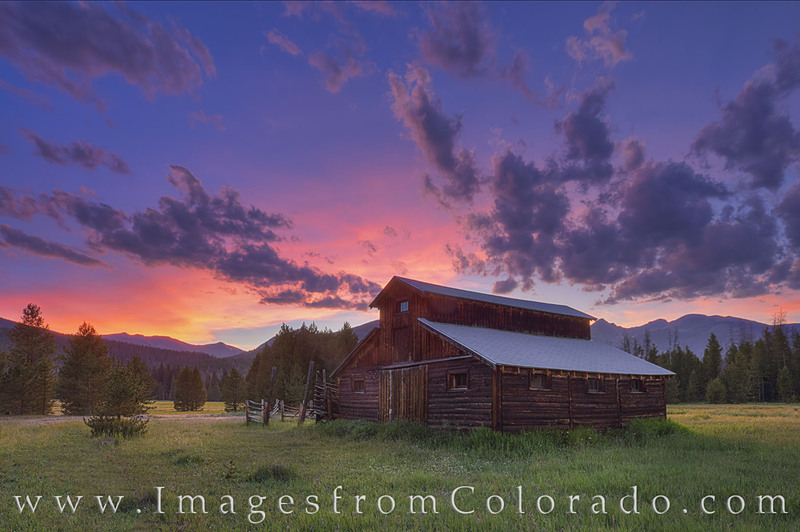 This image was taken on an amazing summer evening as the setting sun lit up the sky in a final explosion of color before night settled in. Photo © copyright by Rob Greebon.